I'm working on a fun project for HiR that involves a little bit of CAD (computer aided design/drafting) work. 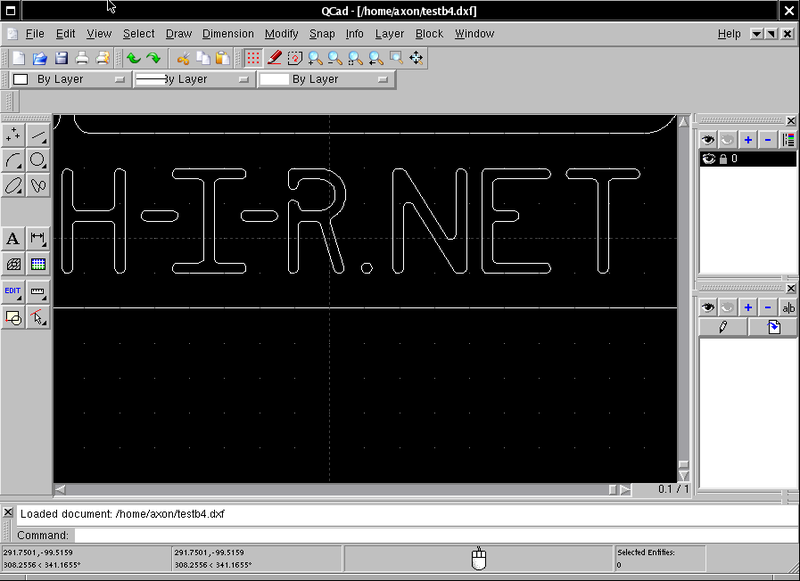 QCAD Community Edition is the GPL version of RibbonSoft's inexpensive QCAD software. It comes without RibbonSoft's technical support and lacks certain features that they reserve for QCAD Professional. RibbonSoft claims that QCAD is usable right out of the gate even by people who have never used CAD before. I haven't touched CAD since I tinkered with AutoCAD Lite back in 8th grade shop class. I'd like to think I'm technically minded as well. QCAD is NOT easy to get the hang of. Maybe compared to AutoCAD or CADKey, but you can ask my wife and she'll tell you I've spent the better part of three whole days just getting my bearings straight with QCAD. I think I've got it mostly figured out now, though. By the way, QCAD is available as a binary package or in the Ports tree for both FreeBSD 6.2 and OpenBSD 4.2. I've been using it on both platforms. FreeBSD works really well with QCAD despite my somewhat anemic workstation. My Logitech Revolution VX is a life-saver for precision CAD work. With its smooth-scrolling wheel and high-resolution laser optical tracker, it fits the bill perfectly. I'm really glad that FreeBSD and XOrg play nice with this mouse. As for the project I'm working on, I'll just say it's mischievous and delightfully fun. I'll release the .DXF file for this project when the time comes.